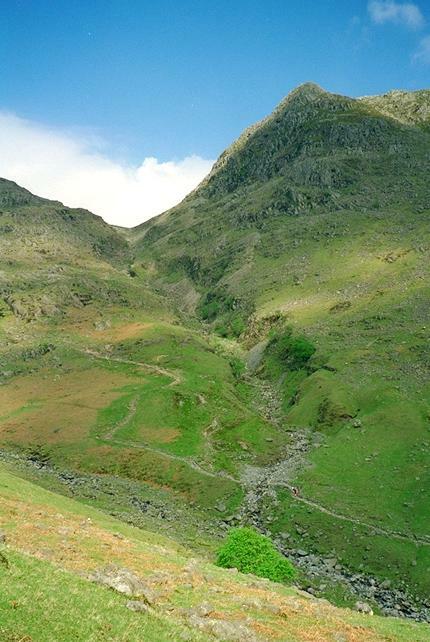 The normal route up Rossett Gill is seen zig-zagging upwards. The Old Pony Route joins it just off the left of the picture, almost exactly half way up (the picture). It is possible to follow the gill up the ravine and it is common for people to come down that way by accident, having missed the normal path at the top. In snow it is worth making the effort, when at the top, to find the right way down. Smaller version of this picture.